Welcome to 2019, I wish you all have an amazing year! First, relax! TBB is not going anywhere! This tiny corner of the web is like my little escape from the crazy stuff I deal with daily. I need it. It’s like, you know, crack addiction. Oh wait, is it some other type of drug that is more addictive these days? Actually, I have no idea about drugs, stay drug free! One thing is certain though…I need to spend less time bringing you the product you have been accustomed to. No worries, I don’t mail it in like bloggers after they sell out, I am not the type. I am proud of my work, it is a lesson from my childhood that is ingrained in me. So, I think you will find the quality of my posts going forward to not be affected too much I hope! No posting on major US holidays. So, today is the last major holiday you will see a post here! The biggest part of the time into this blog hobby (I almost typed venture, lol) is scrolling/marking/reading blog posts that may be worthy to appear in my blog. When I started I had around 700 blogs in my Google Reader and then in my Feedly. Which was totally insane! I have gone through several purges. And over the last week I went through another MAJOR purge of the blogs I keep track of in my Feedly RSS feed account. Final count of blogs in my Feedly as of 1/1/2019: 142. 142 you may ask? That is crazy! And I respond to this with a “pfft, that’s totally doable!”. For now that is. My goal is to make my Buzz type posts even MORE eclectic. Every time I see something I am going to ask myself TWICE if this is still TBB worthy. We are all busy, why mess with substandard time wasting stuff? This means that posts will likely get shorter! Which I also think it is going to be okay as some of the feedback I have received is that it is way too much great info to digest in a single post! 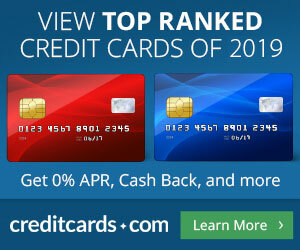 The main revenue drivers of this blog will continue to be the credit cards and the Amazon link. To be followed by the Paypal donations. Goal still is to hit ten credit card conversions per month. Which is the minimum quota I have been assigned to keep them. When they take them away….the blog evolves to a TRUE part time endeavor, mainly with some Best of Web type posts and the very occasional rant, sad! I wiped out several of the Blogs To Ignore off my Feedly list too. When your blog is not even in the TBB Feedly list…does it even exist? 🙂 Bye bye PointsMiles&Martinis, Frugal Travel Guy, Deals We Like, Canadian Kilometers and Milevalue. The last two were also taken off the Ignore blog list because…do they even matter anymore? Nope. The Miles and Points space is not going well. It is now dominated by The Points Guy Inc and it appears most bloggers either write there or want to be acquired by them. There are not that many good blogs left about our hobby. I need to clean up the list of the Blogs I Like soon. You know the miles and points bloggers are hurting for ANY content when…the news of the return of the stroopwaffles became THE story to cover recently, smh. And of course, one of the primary non $ rewards of blogging is the free laughs it can generate when a TBB reader posts hilarious comments like THIS ONE. I can’t believe I am still here blogging away. I have lasted longer than so many bloggers who…quit when they got fed up looking at the crushing/deflating monetary returns. So, stick around. I am not dead yet. The upcoming tax season will be weird. More people taking the standard deduction and that 20% Qualified Business Income deduction potentially driving us pros nuts! When it comes to the stock market, nobody knows what happens in the short term. Stop listening to forecasts, they are purely time wasting useless crap. Have a plan, diversify, keep costs low, rebalance regularly and don’t do stupid tax moves. Easier said than done! 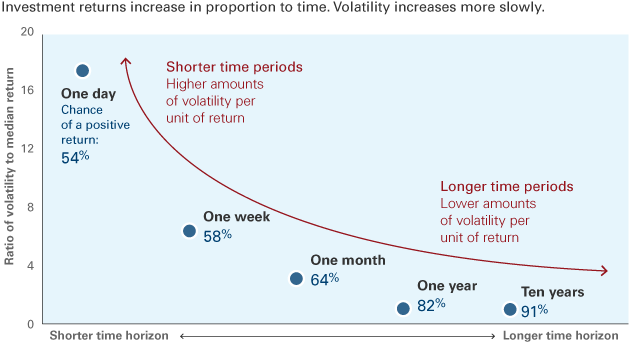 I gotta tell ya…Everyone loves volatility…when it is upward volatility! 2018 was a normal year after an amazing ten year ride. Buckle up! My 2019 prediction: far too many CY 1st class tickets from Vietnam were sold at a massive discount. CY will cancel them. Otherwise award availability will be horrendous. Actually, I think many jails and prisons bill you for room and board. 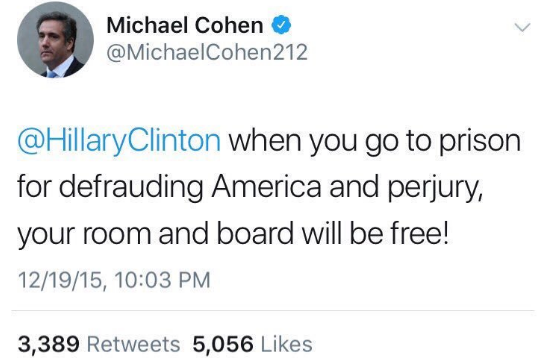 Maybe Michael Cohen can write a guest post on how that works. Or Trump might tweet about it when they lock him up. Nah, he’ll just declare bankruptcy or bone spurs or have them bill Obama since it’s all his fault. So, Buzz, you’re going back to write for the WSJ? And who, disguised as George Papadopoulis, mild mannered writer for the Wall Street Journal, fights a never-ending battle for truth, justice and a few conversions. Happy New Year, Buzz, and everyone! Happy new year, TBB family! Happy New year to all! @George, I hope you will include links to your other job-type writings as well here. I find the FIRE movement to be pretty crazy, personally, and that is from someone that retired at 51 years old! @DML: Cat pic tomorrow, heads up! @ABC: If this was ex US and I had the time to do it…I still wouldn’t do it because it is not…free 🙂 I am surprised CY has not done it yet actually! @Sam: Yeah, back on it very soon. Enough goofing around here. Which will continue…the goofing around that is. And HNY to you too! @David: Thank you, HNY to you too! @Carl: I should but that always felt…like marketing. Which I am allergic to. Plus, it is behind a $ paywall…The FIRE stuff is just nuts…it sells itself as much as “free” luxury travel with just a X number of credit cards” does. @Lord Dima: Funny you mentioned it as I DID look up when is the home town Ann Arbor Marathon. March 24 is too soon and too cold. So I signed up for a 5k on April 7 lol. Athens may not be suitable for a beginner to lose his Marathon virginity from what I hear. But definitely thinking more about finally doing the Marathon in 2019….so many excuses up to this point. Developments with my mother ahead this week…if this arrangement for housing works out it will be AMAZING for her and me for peace of mind…and freedom to travel freely again! Wait Cyprus airways (CY) not only has First Class, routes to Vietnam AND were selling at a huge Discount? WTF… why didn’t anyone post about this.